I love creatively interpreting life. I studied art and interior design at Endicott College after a career as an educator and mother. My sense of color and design led me to the field of interior design, serving clients around the North Shore until moving to London. I began painting with watercolors while simultaneously taking sculpture classes. Over several years this evolved into a desire to paint with more dimension – a desire to mix the two worlds. My passion is painting and creating texture through layering, scraping, and building up complex fields of color. This is accomplished with oil paint combined with marble dust, cold wax, metal paints and charcoal. 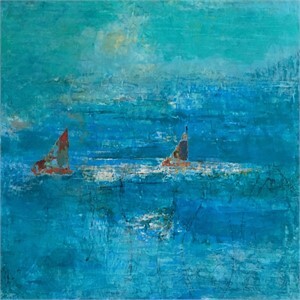 I am a member of the National Association of Women Artists (NAWA) and have exhibited work with Rockport Art Association (RAA), Newburyport Art Association, Endicott College, Marblehead Art Association and with the Experimental Group of RAA. My studio is located in Manchester–by–the–Sea. When I am not painting, I enjoy hiking, traveling and spending time with my family. 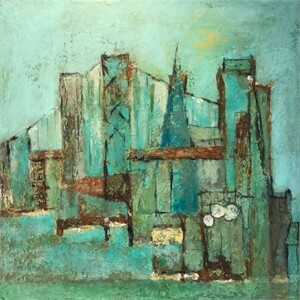 View Cindy Journey's Artwork on our marketplace. Cindy Journey I love creatively interpreting life. I studied art and interior design at Endicott College after a career as an educator and mother. My sense of color and design led me to the field of interior design, serving clients around the North Shore until moving to London. I began painting with watercolors while simultaneously taking sculpture classes. Over several years this evolved into a desire to paint with more dimension – a desire to mix the two worlds. 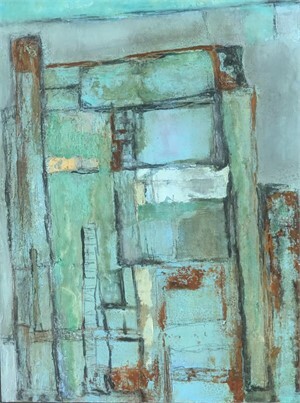 My passion is painting and creating texture through layering, scraping, and building up complex fields of color. This is accomplished with oil paint combined with marble dust, cold wax, metal paints and charcoal. 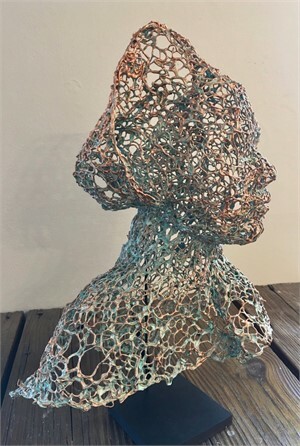 I am a member of the National Association of Women Artists (NAWA) and have exhibited work with Rockport Art Association (RAA), Newburyport Art Association, Endicott College, Marblehead Art Association and with the Experimental Group of RAA. My studio is located in Manchester–by–the–Sea. When I am not painting, I enjoy hiking, traveling and spending time with my family. “The aim of art is to represent not the outward appearance of things, but their inward significance”— Aristotle View Cindy Journey's Artwork on our marketplace.